President Donald Trump signed legislation Tuesday adding human exploration of Mars to NASA's mission. Could sending Congress into space be next? Flanked at an Oval Office bill-signing ceremony by astronauts and lawmakers, Trump observed that being an astronaut is a "pretty tough job." He said he wasn't sure he'd want it and, among lawmakers he put the question to, Sen. Ted Cruz said he wouldn't want to be a space traveler, either. But Cruz, R-Texas, offered up a tantalizing suggestion. "You could send Congress to space," he said to laughter, including from the president. 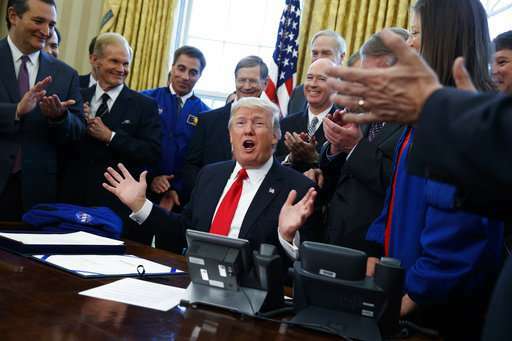 "What a great idea that could be," Trump said, before turning back to the space exploration measure sponsored by Cruz and Sen. Bill Nelson, D-Fla. The new law authorizes $19.5 billion in spending for the National Aeronautics and Space Administration for the budget year that began Oct. 1. 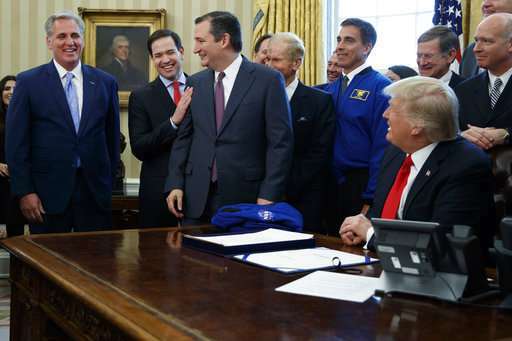 Cruz said the authorization bill is the first for the space agency in seven years, and he called it a "terrific" achievement. 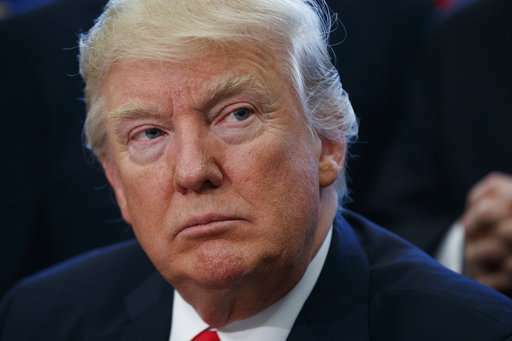 "For almost six decades, NASA's work has inspired millions and millions of Americans to imagine distant worlds and a better future right here on earth," Trump said. "I'm delighted to sign this bill. It's been a long time since a bill like this has been signed, reaffirming our commitment to the core mission of NASA: human space exploration, space science and technology." "He's a Democrat. I wasn't going to let him speak," Trump quipped, to laughter. Nelson ultimately got a chance to briefly praise his bill. Video: What might Trump mean for chemistry? It's the only way to really deport these illegal aliens back where they came from.... SPACE! lmao. I'm glad for NASA and hope that congress will pass the funding. What are you talking about? I told you over and over that President Trump can't make America great again until we lead the world in science and technology. It's only the people that would slander people they don't even know that make up the lies. Quit listening to them and quite listening to President Trump and check out the results. 40% reduction in illegal immigration. Stock market that is soaring. Business that were moving overseas deciding to stay here. 2. A desire to make their country great. Much more civil conversations now. Plus I am sure that as a troll it drives him crazy. Well. Despite all his (huge) failings, at least he likes NASA.